Happy Wednesday from London! 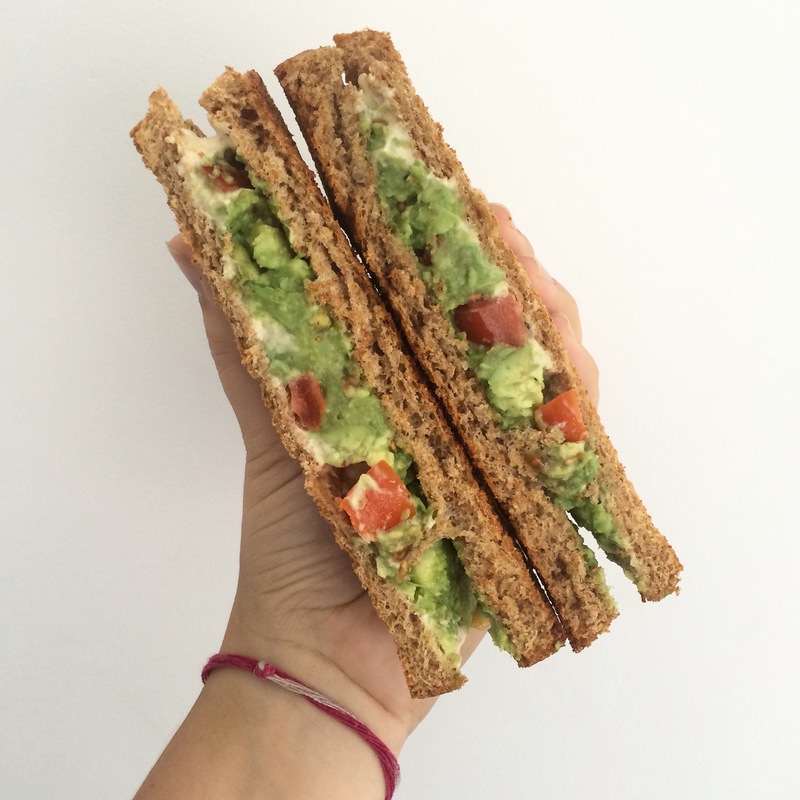 I’m so excited to share this edition of What I Ate Wednesday; it’s the first one from my new home in London. I moved here a few weeks ago to start my postgraduate degree and I’ll be living here for the next year. Living in a big city like this is a very new experience for me; I’m excited to share my journey on the blog. I’m planning to write about DIY room decor, budgeting and much more, so stay tunned. If you never want to miss a new post, just subscribe to my blog (it’s that little black “follow” button on the right hand side) and you’ll get a email as soon as I publish a new post. Okay, that’s enough rambling from me. Here’s what I ate on a regular day in London! Some morning call for a big bowl of cereal, and one of the first things I did when I got to London was go to the store to buy my favourite UK cereal: Curiously Cinnamon. No, it’s not healthy; it has way too much sugar in it BUT it’s amazingly cinnamon-y and sometimes it’s exactly what I need in the morning. 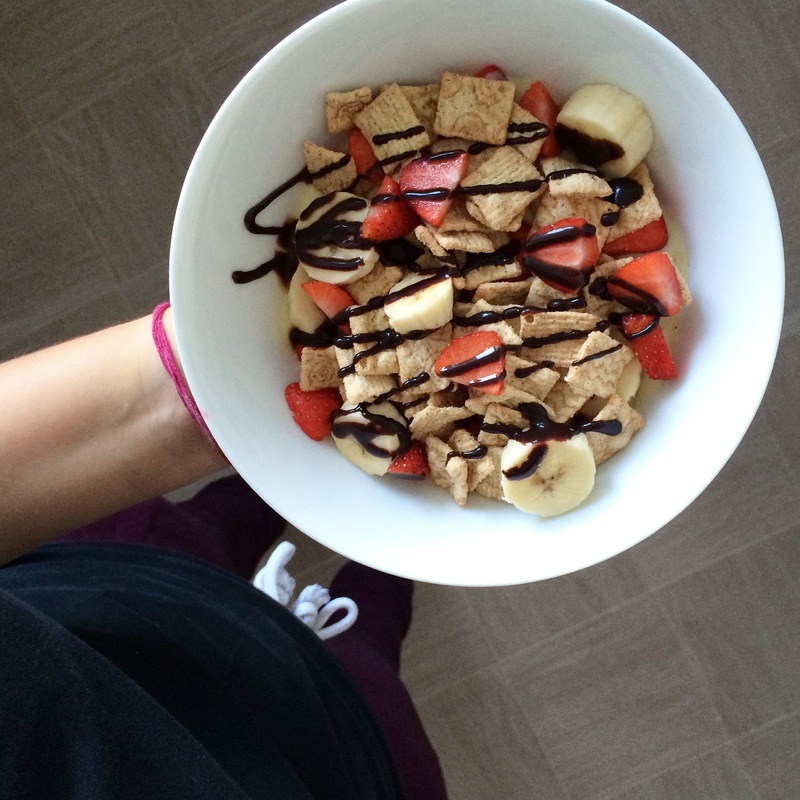 On this morning I had it with some Alpro vanilla soy-yoghurt, banana, strawberries and Choc Shot. Remember, it’s all about balance. My 11am coffee is ingrained into my routine; I have it with some vanilla soy milk and it’s heaven in a mug. Of course, a cup of coffee is not complete without some sort of snack to accompany it. 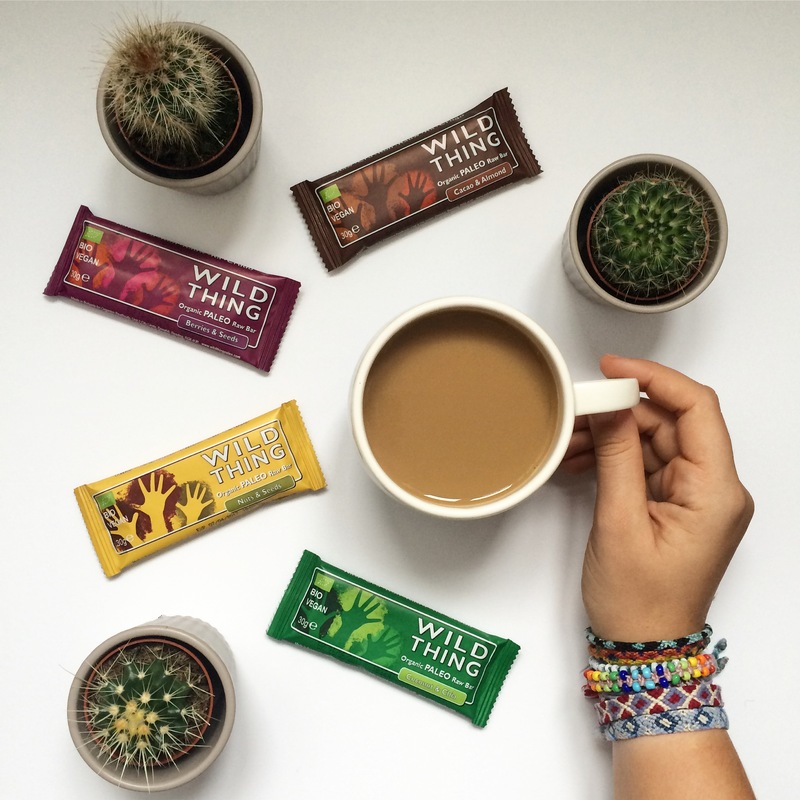 I’ve recently been loving these Wild Thing bars; they have simple wholesome ingredients and taste delicious. Guys, if you’ve never paired avocado with hummus, you have to go try it right now (well, after you finish reading this post). I discovered it only recently and it’s literally the best sandwich combo ever. Since going vegan I’ve struggled with finding savoury sandwich fillings, but this one is a keeper. As you can never have too much hummus in one day, I had it with some veggies for my afternoon snack. 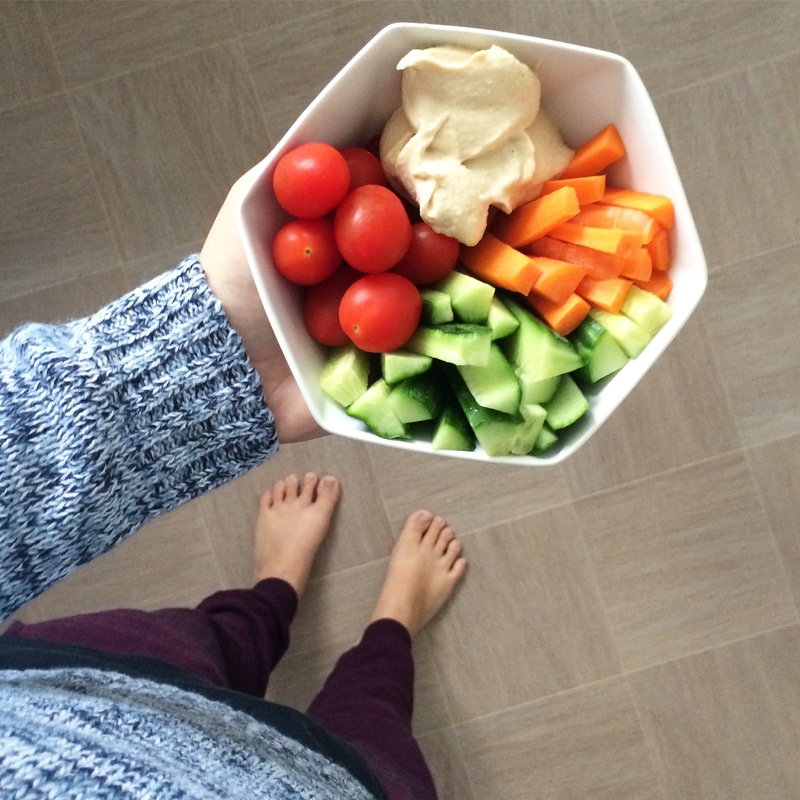 Simple healthy snacks like this fuel me through that afternoon dip and help me concentrate on my work till dinner. 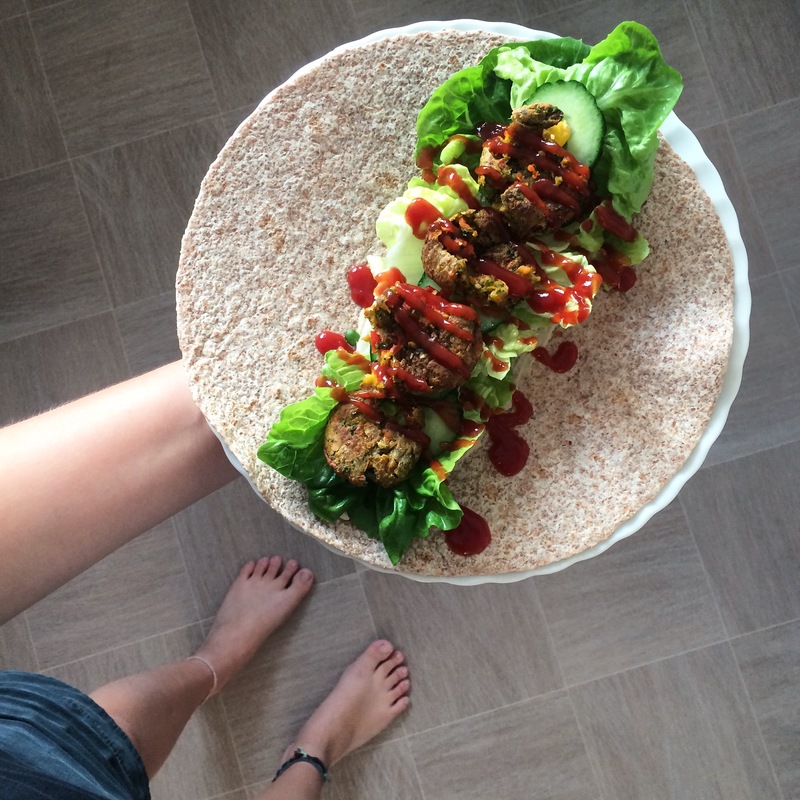 I’ve been loving wraps recently; they’re cheap, simple, and great for when you have a bunch of random veggies to use up. This time I had lettuce, cucumber, veggies balls (from Ikea, literally the best things ever) and ketchup. To some this might seem like a boring meal, but I happily eat three of these bad boys. If you want to see my vegan creations daily, you can follow me on Instagram. I hope you’re having a great week; let me know, do you have anything exciting planned for the upcoming weekend?